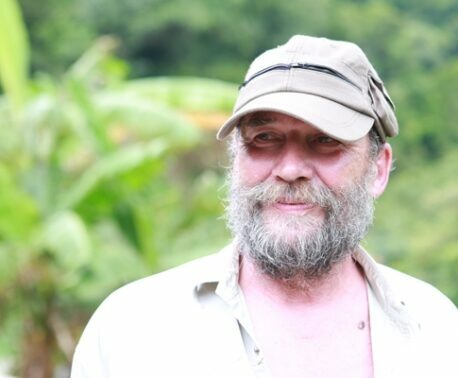 World Land Trust's Ecuadorian partners Fundación Pro-Bosque have been busy with their reforestation programme in the Cerro Blanco Protected Forest. 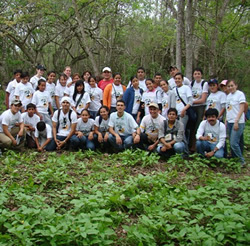 Top: Volunteers helping to plant trees in Cerro Blanco. Photo © Fundación Pro-Bosque. Above: The critically-endangered Great Green Macaw. Photo © Juna Diego Perez (TNC/Fundación Natura). 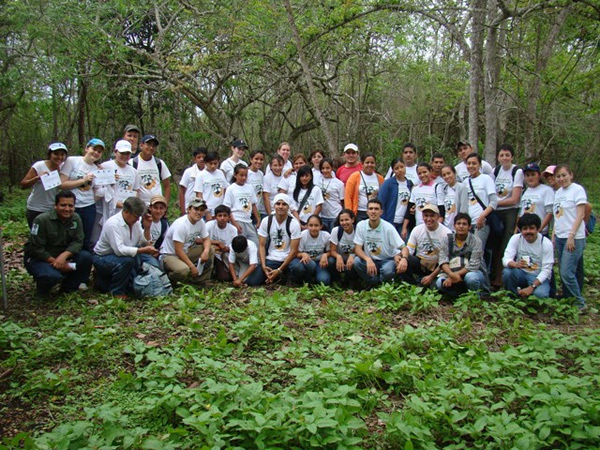 At the start of the year, Pro-Bosque organised a day of tree-planting, enlisting the help of over 60 volunteers including students and local professionals. More than 2,000 trees were planted; a significant contribution to their goal of planting 90,000 trees in a 90ha area by the end of the year. Since tree-planting started in 1993, about 180,000 trees have been planted and World Land Trust (WLT) have significantly strengthened their reforestation programme. 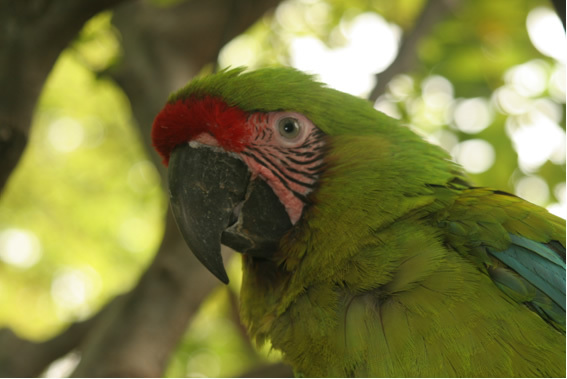 All tree species planted are native to the reserve, with particular emphasis on species important for the critically-endangered Great Green Macaw. There are early signs of success. 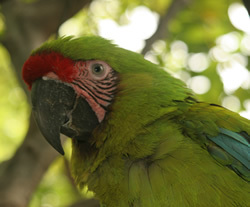 In October 2009, a Great Green Macaw nest was discovered near the reserve from which two chicks successfully fledged. It is estimated that the population of Great Green Macaws in the Chongón Colonche mountain range consist of as few as 20 individuals, so news of these new chicks offers hope for the future of the population. 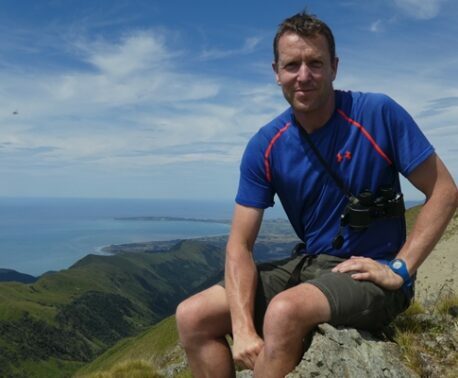 The next stage of this project involves the purchase of more degraded habitat with support from IUCN-NL and current fundraising efforts by WLT-US. The newly purchased land will then be restored with funds from WLT.